In the celebration of our 6th anniversary, we'd love to invite you to kickstart the April month with #MyUpsideLife Instagram Challenge! From 1 April - 9 April, celebrate the Upside of Life & stand a chance to win our Ultimate All-Access One Month Pass! 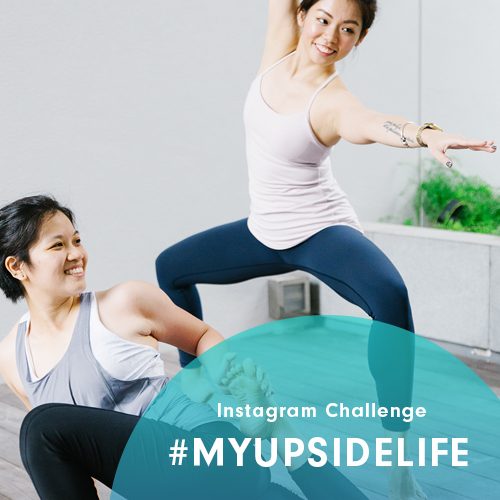 To submit an entry, simply share your Insta snap of your favourite Pilates/Barre/Aerial/Yoga pose, share your Upside story in your caption and tag us @upsidemotion, hashtag #MyUpsideLife and #WeAreUpsiders.